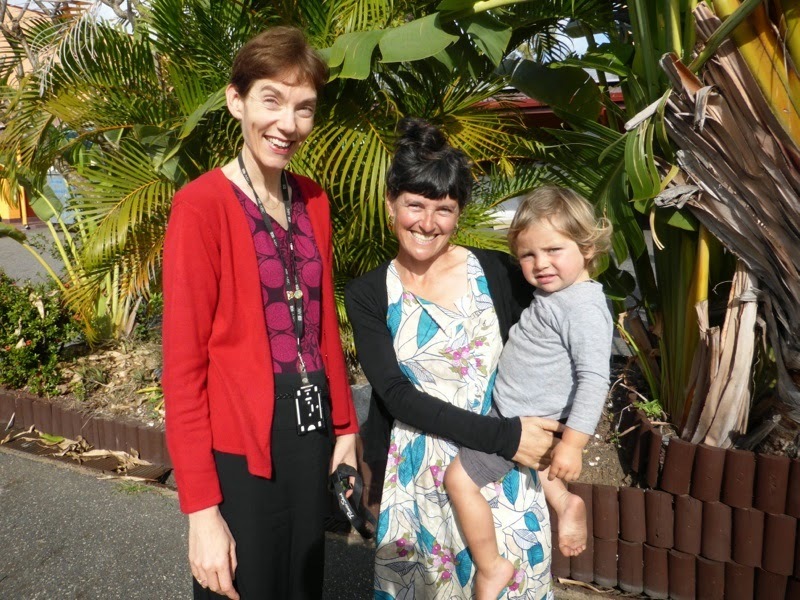 and getting to know a little about Rockhampton. 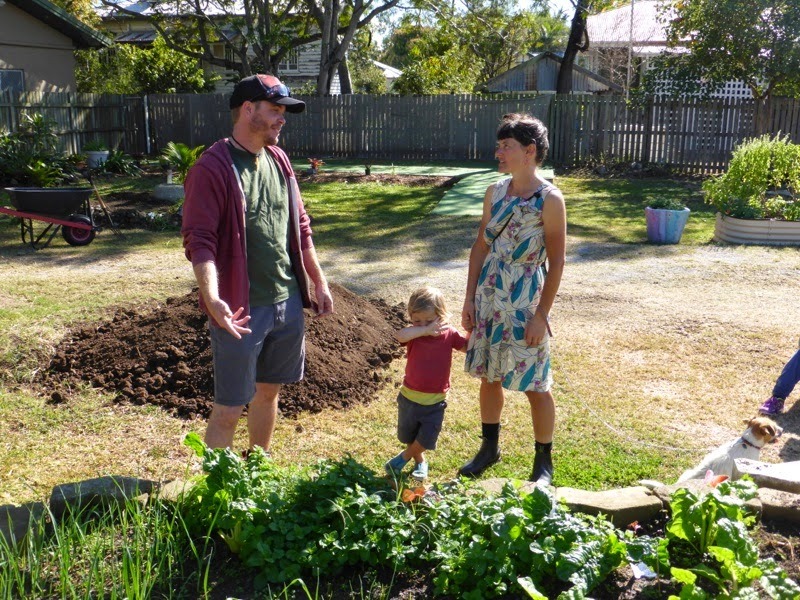 and discovered a model for community food and wellbeing. Several neighbouring properties had been purchased together and their back fences dismantled to create a lovely large open common area. 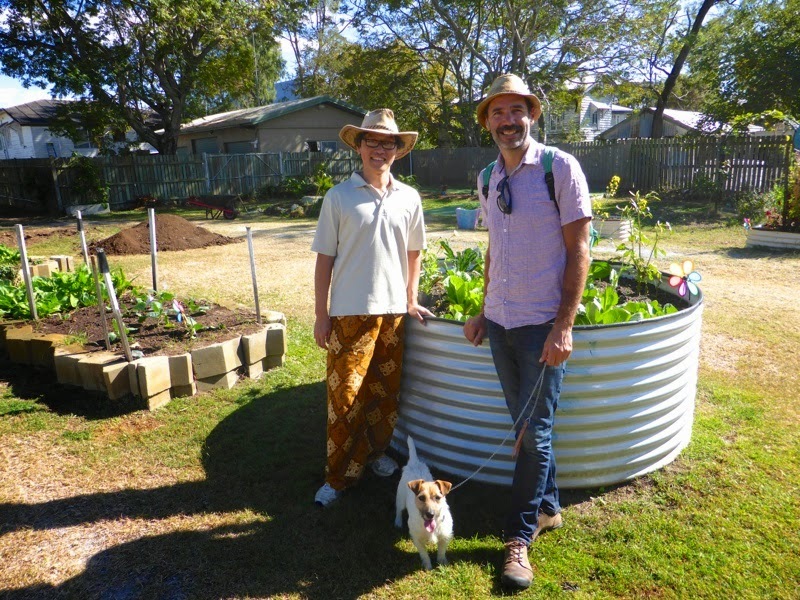 and the garden's manager, Tony, who's been with the project since its inception five years ago, about the its evident success. 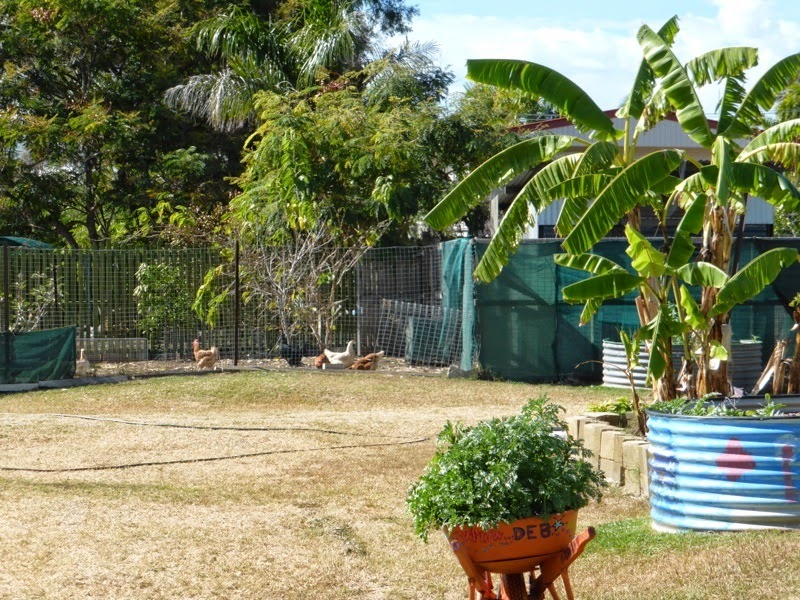 The garden features various annual vegetables, perennial fruits and a chook run, which doubles as a compost factory. 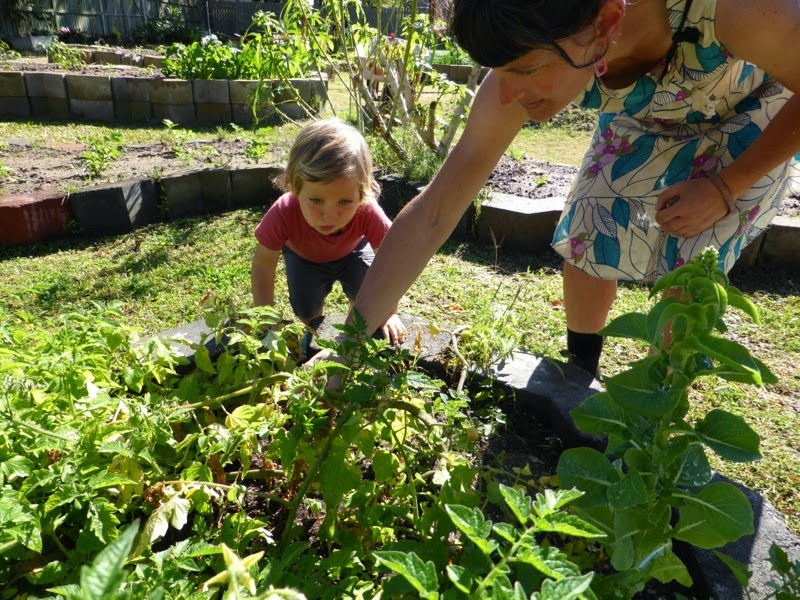 People of all abilities work in the garden and steward its wellbeing. There is nothing like a garden to bring joy. And we learned that now, in mid-winter, is the peak growing season for the mostly non-Indigenous foods grown there. 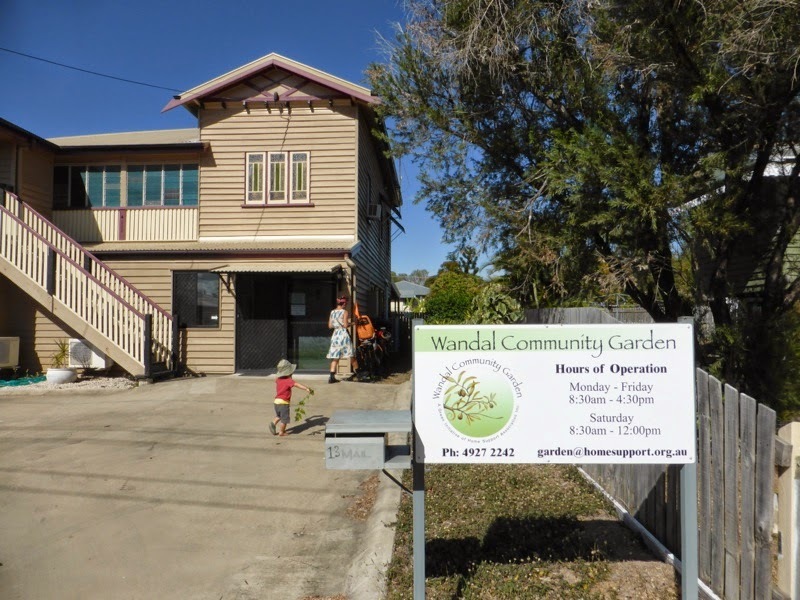 There is talk to create a bush tucker garden at Wandal, which would no doubt extend the productivity of food to year-round. We left uplifted with loved food in our bellies. 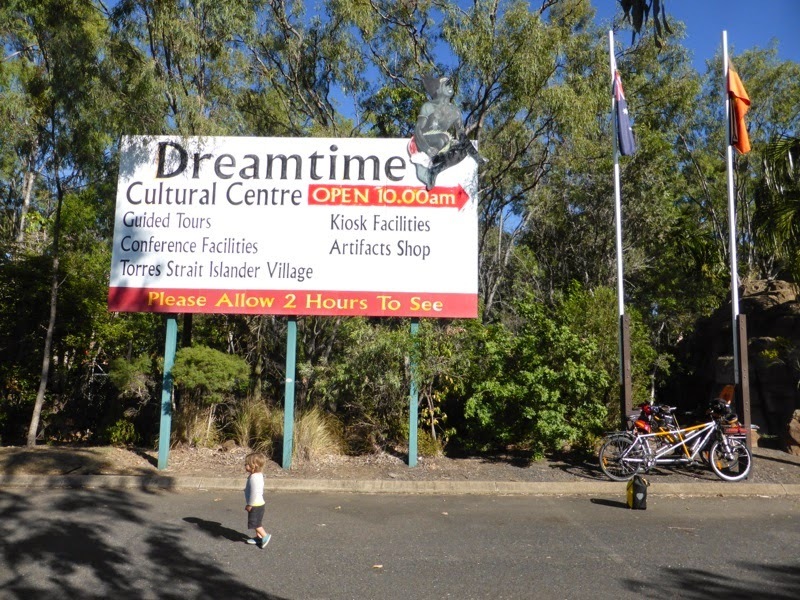 Another place in Rocky we visited was the Dreamtime Cultural Centre. 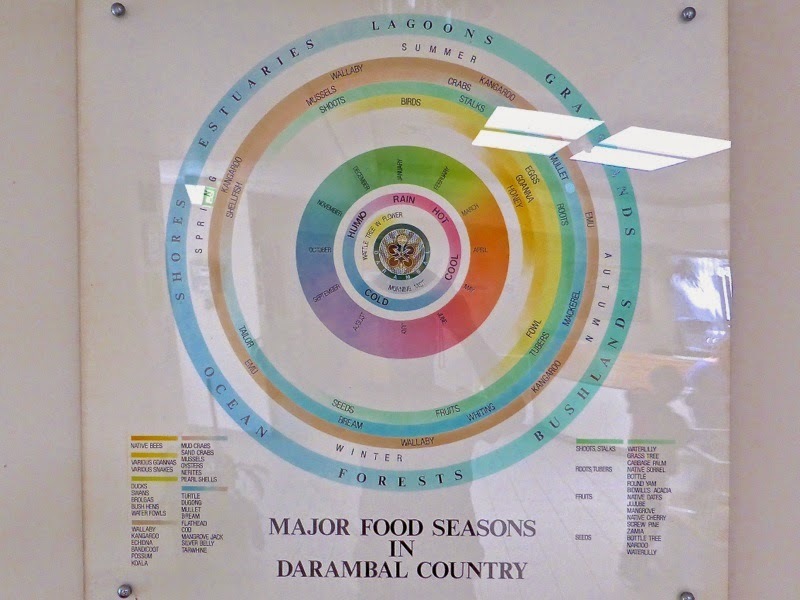 Here we discovered an incredible diagram representing the traditional seasonal foods of the Darumbal people. This is such a fine understanding of the interrelationships between ecology, seasonality, biology, climate, diversity of species and nutrition. 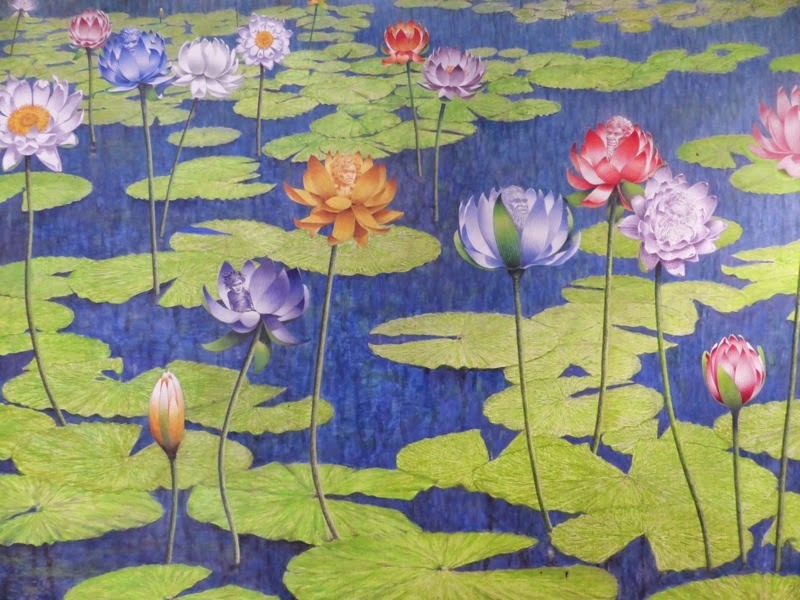 We learned that water lilies are a significant food and a sacred plant of the Darumbal. were chewed to quench thrist. 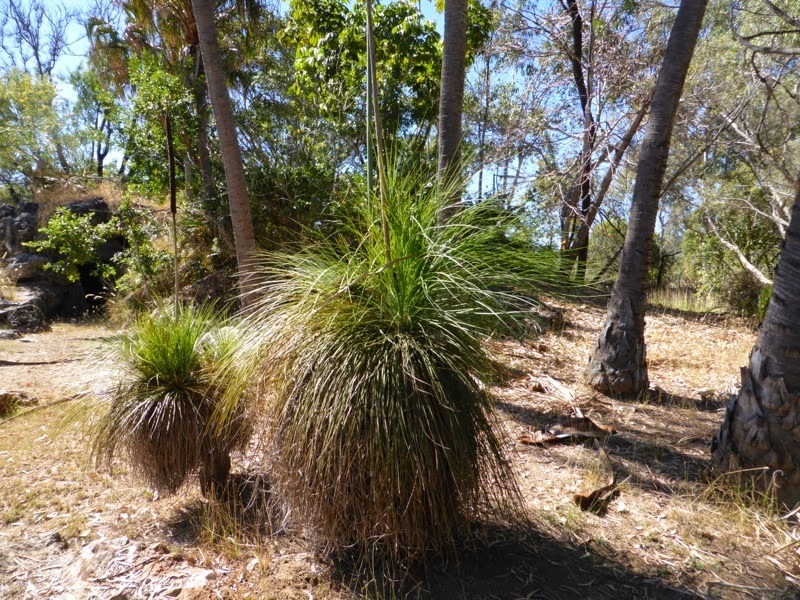 We tried it and didn't find the same juiciness we've found in lomandra and pandanus leaves, but nonetheless as we're about to ride 300 km to Mackay with only the capacity to carry 5 litres of water, we duly noted this plant fact in case we don't spy a tap. And we found this sneaky newcomer in the garden, the moonlight or snake cactus (Harrisia spp. 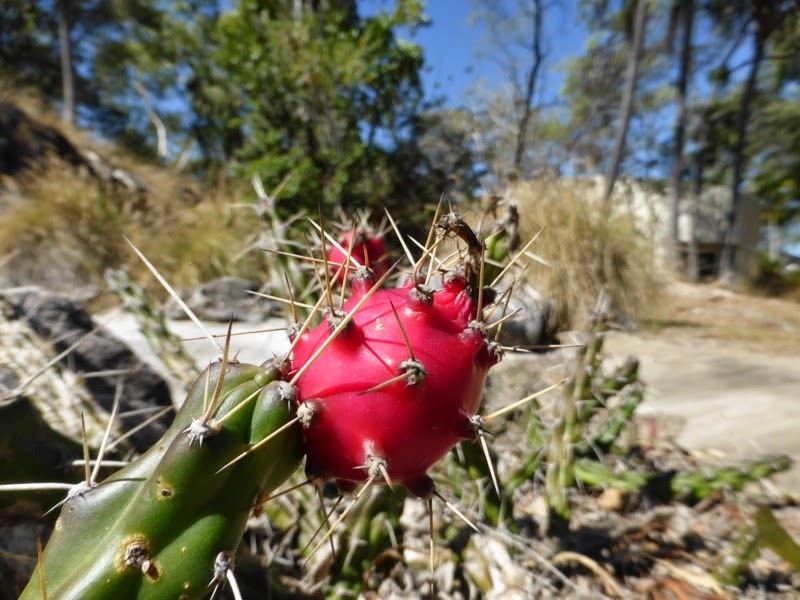 ), which bears a red fruit that splits open when ripe. We were escorted through the various parts of the cultural centre by our guide Wayne who explained that it was the women who provided much of the food within the tribe and were the ones who experimented with plants and mushrooms to find out whether a certain species was poisonous or not, and whether a poisonous plant can be made edible through various techniques and processes. Earlier in the week we had come across this publication, Notes on Some of the Roots, Tubers, Bulbs and Fruits Used as Vegetable Food by the Aboriginals of Northern Queensland, published in Rockhampton in 1866 and housed in the State Library of Victoria's online database. 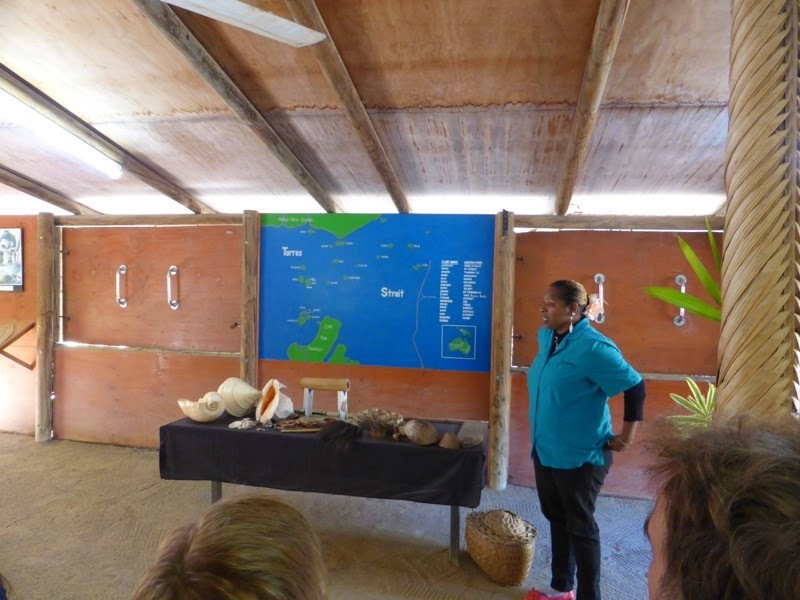 While at the Dreamtime Cultural Centre we met the delightful Grace who gave us a presentation on Torres Strait Island life, which by her account has not suffered the interventions, genocides and appalling control by the state that Aboriginal people have on the mainland. 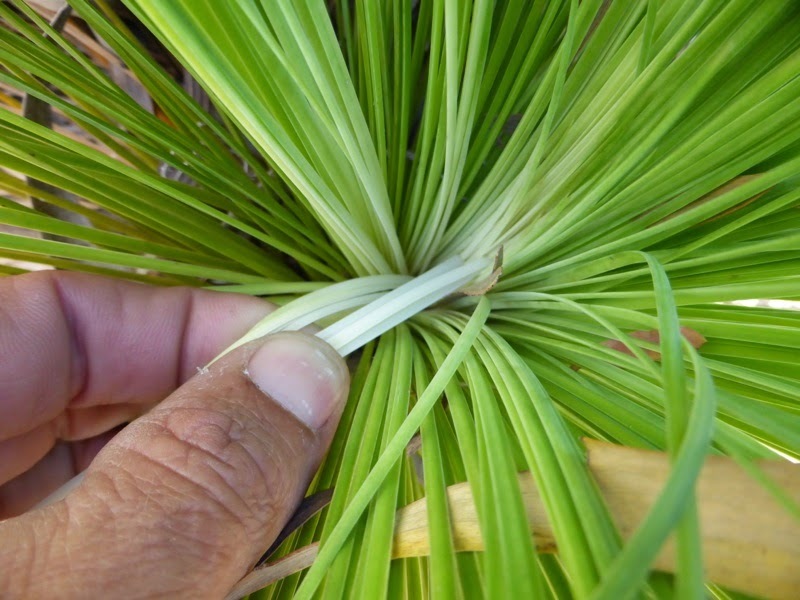 She told us that more or less traditional island life remains in tact and so too islander health as their traditional foods still constitute their main diet. We asked Grace what she felt was the biggest threat Torres Strait Islanders faced and she replied, 'western technology and food'. In everything Artist as Family attempts to do the problem of western technology and food is at the centre. 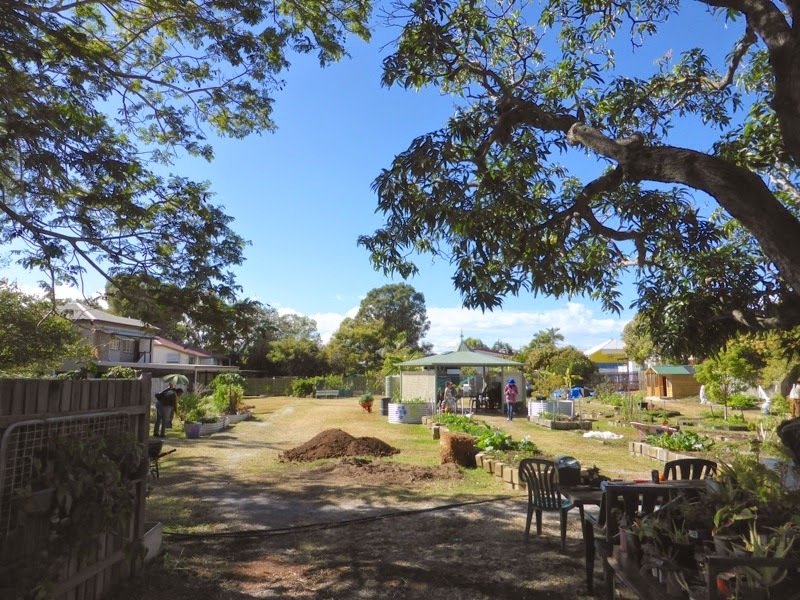 How do we re-establish or re-model the grounds on which sensible cultures of place can once again be performed, where the food we eat and how it is obtained belies cultures of low damage? 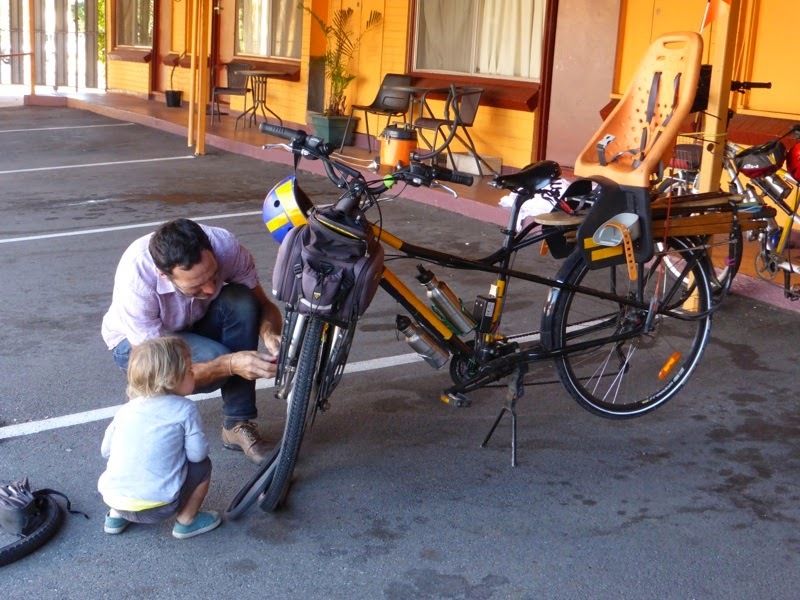 While we stayed in Rockhampton we were interviewed by local ABC breakfast radio host, Jacquie Mackay, about our travel and the intention behind it. You can listen to the interview here. we were neighbours to George and Nita Corderoy, who were visiting family from Sydney. 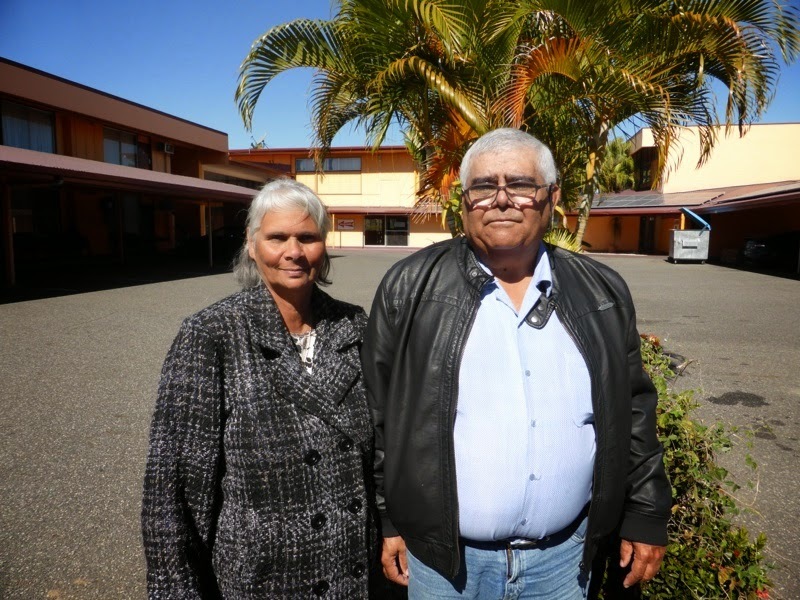 George is a descendant of the Darumbal people and grew up in Rockhampton. 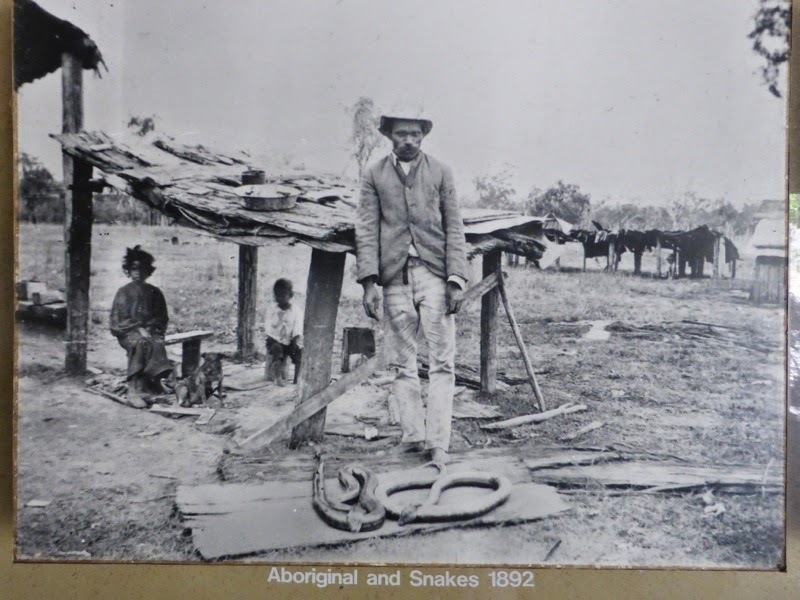 European colonisation all but destroyed George's ancestors' culture but growing up he and family would go out hunting and fishing for traditional foods. Nita's people were from near Charters Towers but she was taken from them as a child and put in a church orphanage just outside Rocky as part of government policy that produced The Stolen Generations. 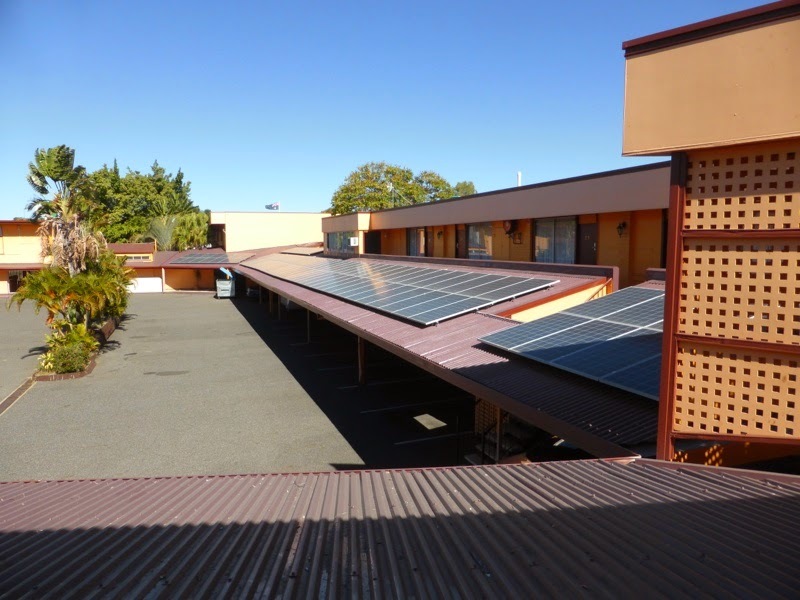 With free wifi in our room we were finally able to watch John Pilger's recent film Utopia, which illustrates how the genocide of Aboriginal people continues today and reveals how Aboriginal babies are still being taken away from their mothers and families. Pilger's film and getting to know George and Nita's stories, inspired Patrick to write a new poem this week, which we'll leave with you. See you in Mackay. be built upon such foundations?